No International Shipping Outside Canada & The United States! 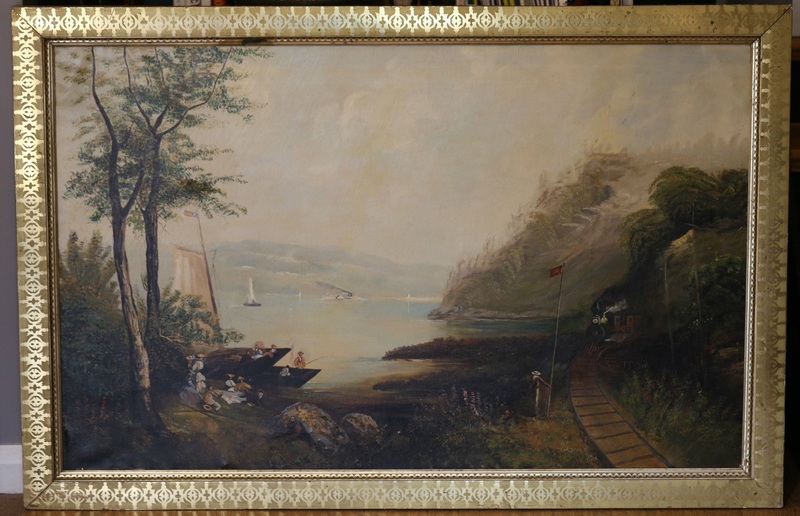 This large Hudson River scene oil on canvas measures 53″x 35″ and is signed “E.A. Noble 1880″. A Perfect addition to your American Folk Art collection or stately home. The top New York art auction house put an estimate of $6,000.00 to $8,000.00 USD on the piece – Proof provided upon request.